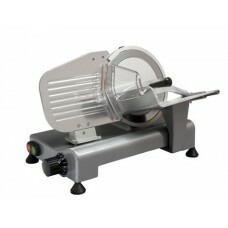 ICE - Heavy duty slicer, SSR1301. - Model: SSR1301.- Belt driven 300mm..- Made in Italy.- Powerful motor / belt driven.- Cut capacity ..
ICE - Slicer belt driven, SSR0250. 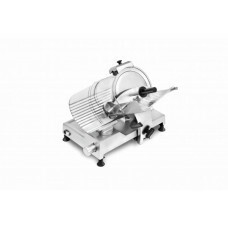 - Model: SSR0220.- Slicer 250mm Diameter blade.- Made in Italy.- Designed for smaller cuts of meat.-..
ICE - Slicer belt driven, SSR0300. 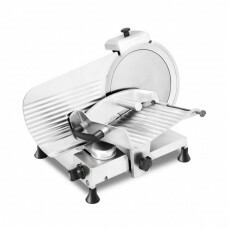 - Model: SSR0300.- Slicer 300mm Diameter blade.- Made in Italy.- Aluminium finger guard.- Easy glide..
- Model: SLL0195.- Slicer 195mm- Made in Italy.- Removable sharpener.- Domestic or light commercial ..
- Model: SSR0220.- Slicer 220mm Diameter blade.- Made in Italy.- Designed for smaller cuts of meat.-..